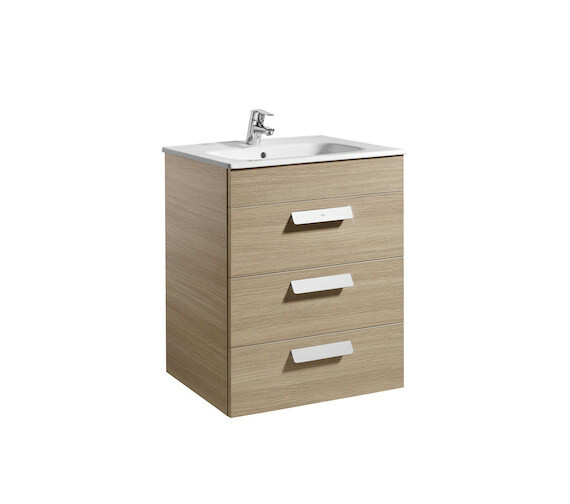 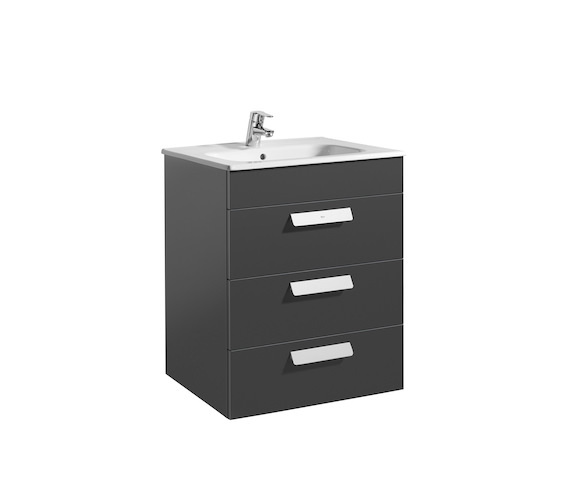 The Roca Debba Unik Vanity Unit with Basin exudes grace and confidence, and you can use it to make a style statement. 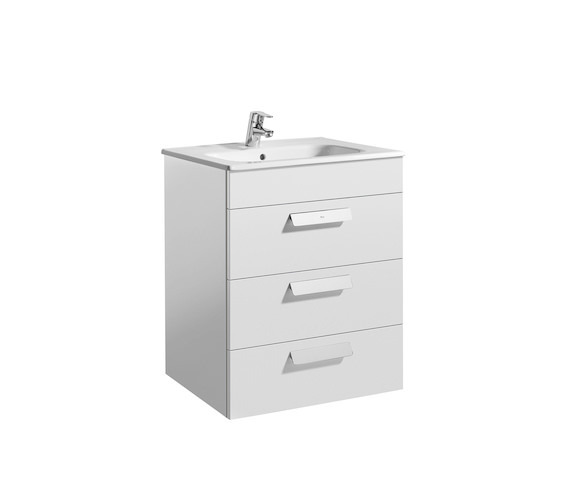 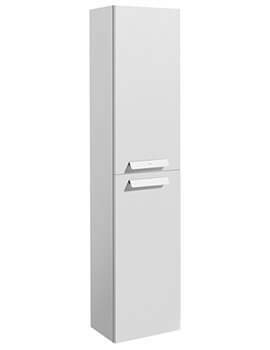 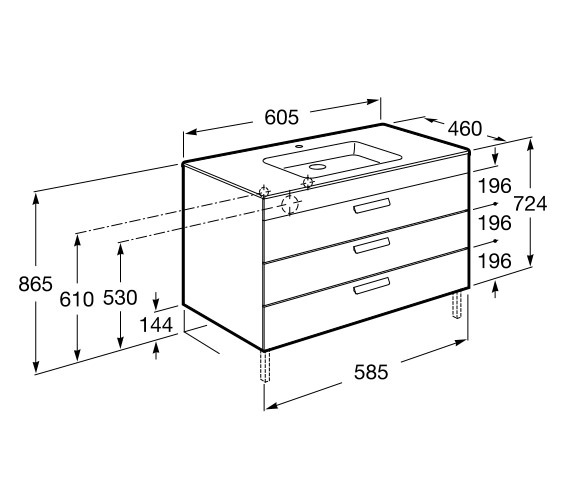 This elegant furniture piece is user-friendly and comes with three soft close drawers. 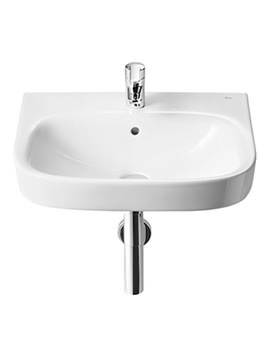 This durable fixture is constructed using the best quality raw material which gives it robustness and longevity. 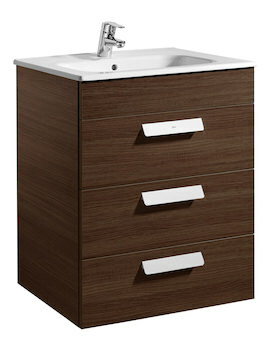 It is covered in a textured wenge finish which lends it a tonal neutrality to fit in with a range of colour schemes. 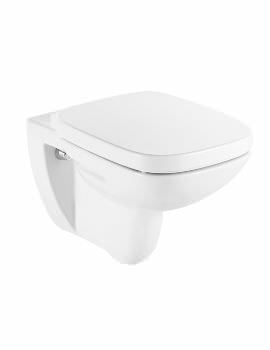 The inclusive basin is made from sturdy and durable vitreous china and has an integral shelf on both sides.